Jmart,rsd,hadco, amazon. It's called the captain hook. If your in the market for a nice little Oxy Acetylene set up that has a variety of tips. 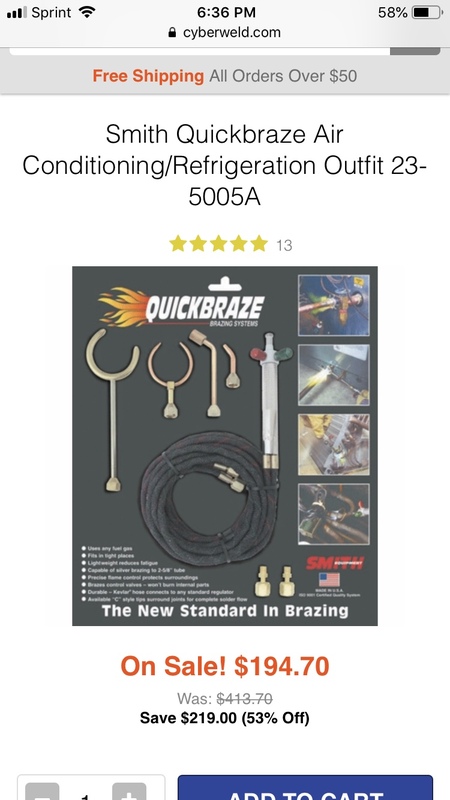 Ive been very pleased with my Smith Quickbraze kit. Works well, really well on items that are in a tight spot, like coil repairs. One of my co-workers has the MC tank turbo acetylene set up. He uses it mainly for rooftop work. Ive often considered getting a set up, for the same reasons to lighten the load. But Ive always been a oxy/acetylene guy. The sound of the turbo has always kept me away. But to each there own I guess. Cant say Ive ever seen a hook type for turbo acetylene. I have seen one at the wholesaler. 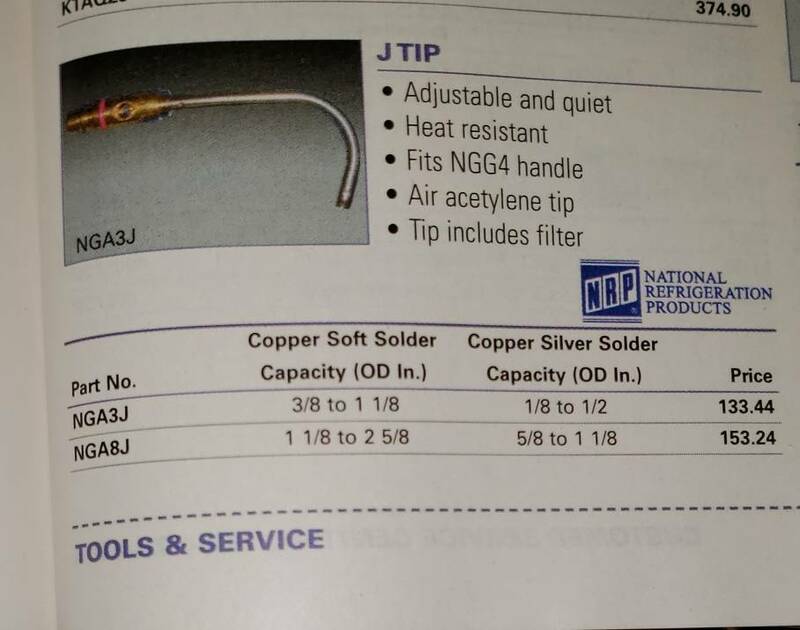 Look up Turbo Torch catalog and search through the air acetylene tips for the part number. United Refrigeration has what you're looking for. It seems like there's 2 different products being discussed in this thread. Product 1 is the single-outlet torch where the flame comes out the end of the hook-shaped tip, and product 2 is the cap'n hook tip that has flames that come out in several places around the inside diameter of the hook. As far as I know, the cap'n hook is only available as oxy/acetylene and not air/acetylene, but the OP is probably asking about the one that Jettinvr6sc posted where the flame comes out the end.